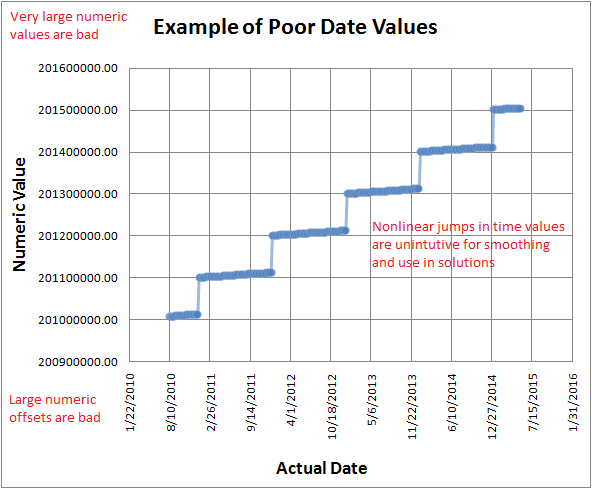 Eureqa can automatically estimate numerical derivatives in order to model the rates of change of variables in your data. Often derivatives are more natural and simpler for modeling certain types of phenomena, particularly in physics. This post discusses the basics of entering derivatives into the Eureqa search relationship. 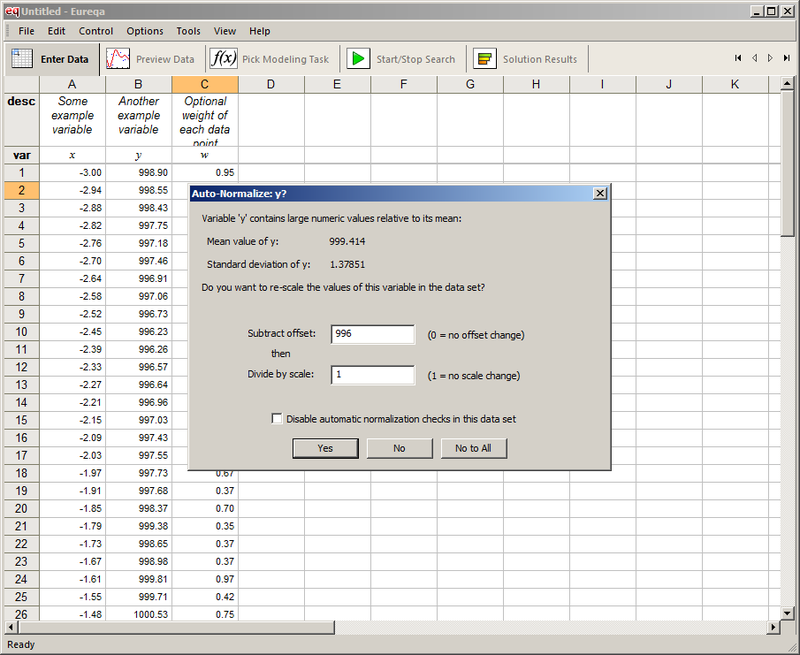 Eureqa displays the derivatives in mathematical format after the relationship text is entered. 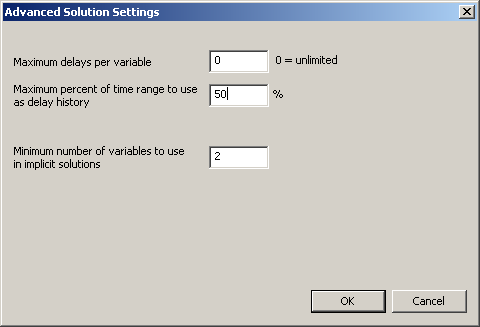 Alternatively, you could estimate the numerical derivatives ahead of time using another program, and enter these values as a new variable in the data set rather than using Eureqa’s derivative operator. 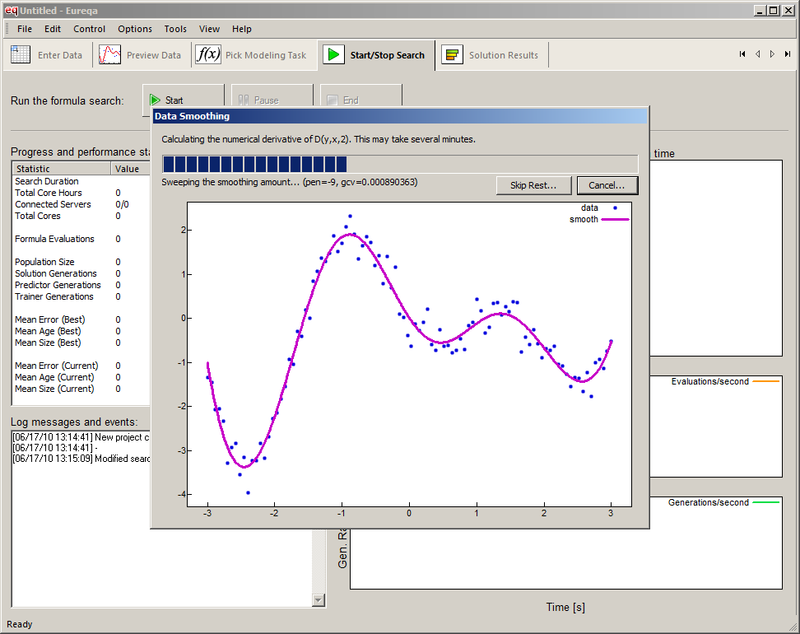 Eureqa estimates the numerical derivative using a spline fit to the data. 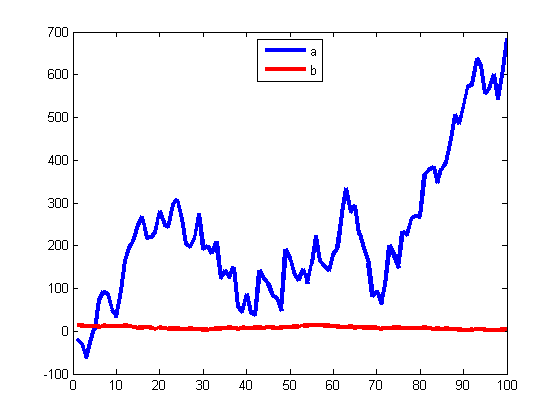 This allows more accurate derivative estimates than other methods in case the data contains noise. 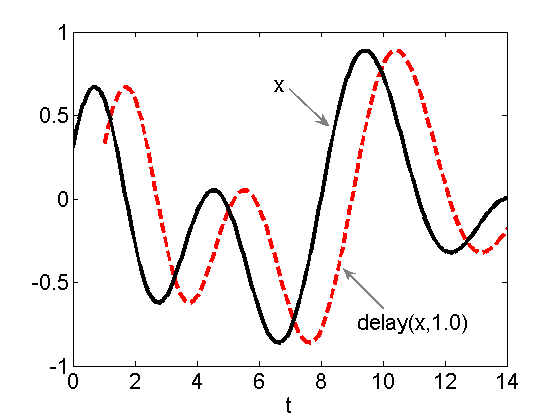 Estimating numerical derivatives accurately is a challenging task when the data is sparse or contains noise. Eureqa’s derivative estimation is an improvement over the most basic methods like Newton’s difference quotient. However, it does not work well in all cases. 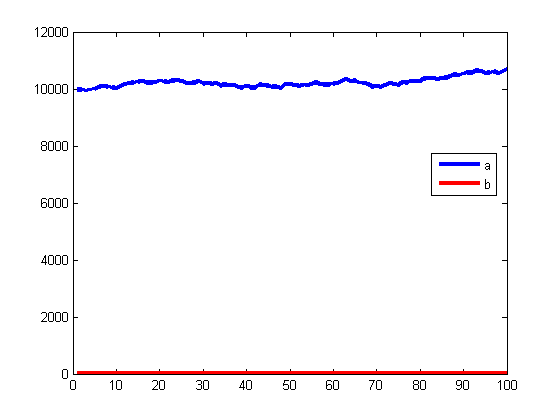 One particular problem with spline curves is their accuracy at the head and tail of the data – these points are “surrounded” by fewer data points and thus have higher estimation error. If you can, you might want to ignore these points entirely using a weight variable. 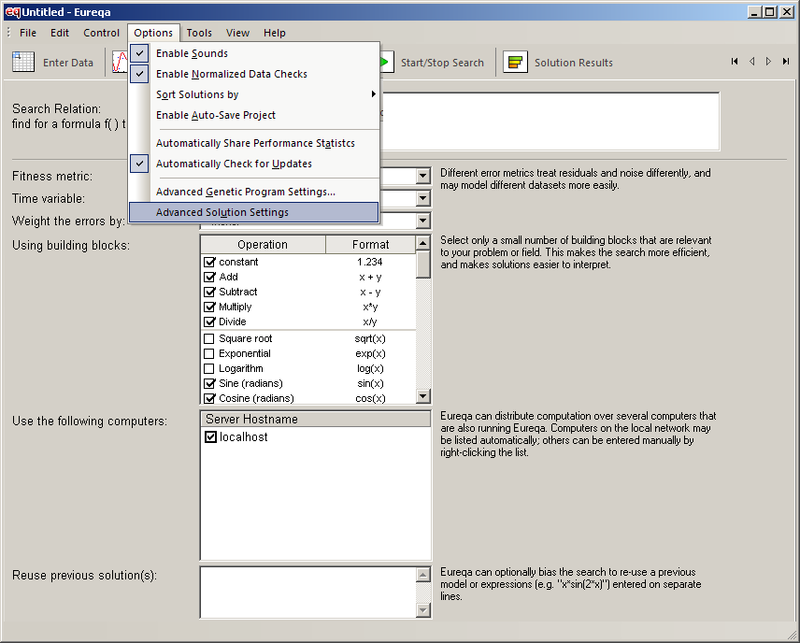 Simply add a new column to your data, and set the weight to 1 for all data points but near zero for the first and last 5 to 10 data points. 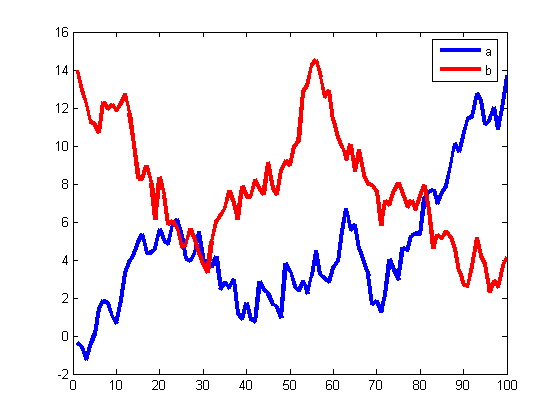 It may also be worth the effort to estimate the numerical derivatives outside of Eureqa using more specialized tools. 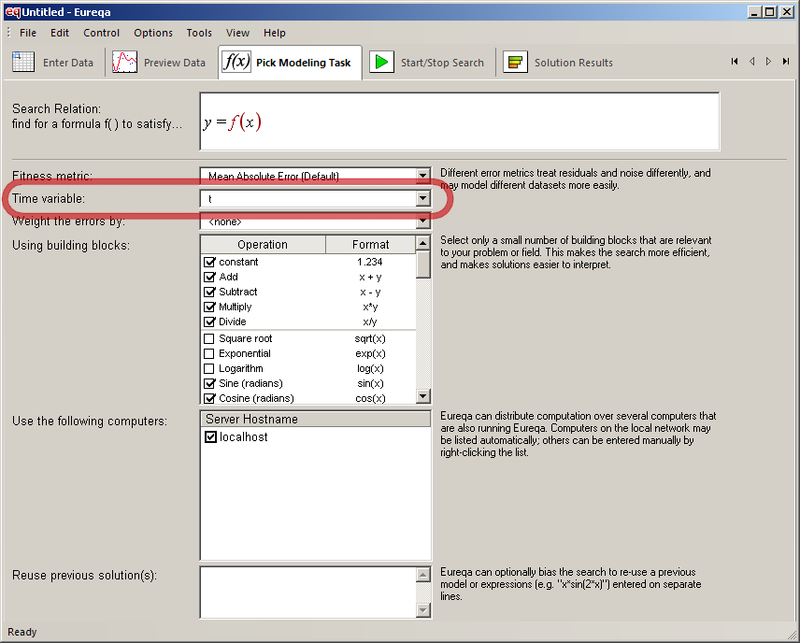 For example, you may want to compute the derivative values in R or using Matlab’s spline toolbox, and then paste these into Eureqa as a new column variable.